It must be Friday. It must be Friday, because I feel the need to confess. If you need want to confess you can go and visit Mamarazzi....Glamazon that lucky girl is going on vacation. Sometimes I just don't want to be the mom. The go to gal. The answer lady. Sometimes I just want to be left alone in my own little corner. Sometimes I just want to go on strike. I am not a fan of teenage crisis and angst. But in my defense I was on the go all.day.long. I would list it out but I would probably get too tired and trail off to sleep. I will say when I finally got home and was able to sit. That is all I did. I sat like a lump for the rest of the night. I am beyond thrilled that this is the last day of school before Spring break. Is it because I get my kids to myself 24/7? That joy might last a couple of hours a day or two. No, it's because there is no homework, there is sleeping in and no morning rush. See. It's all about me. Even the teachers are ready for Spring break....whooops...that's not my confession. Our first week of break proves to be a very busy one. First. As in we get more than one. They get two weeks and one day. I usually got one week. My confession two weeks from now might be totally different about Spring break vs. school. What is weighing heavy on your mind? Link up and play! The kids here get a week. In early March, to match the university in town. When I was a kid that school district I was in cut down on spring break--we got tow day one week, the weekend and two days the next week. So six days total for "spring break". Fun times. I'm still weirded out about 2 weeks for Spring Break...I mean, when do you get out for summer?? We have one more week to go and then we have a week off. Two week spring break...I'm jealous! i wish i had 2 weeks! that would be awesome. hope you guys have a great time! I'll admit, I am SO, SO ready for spring break. It comes way too late this year. 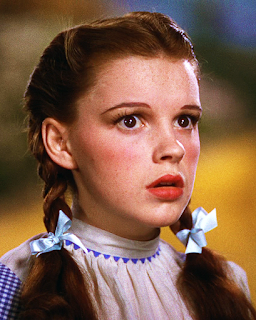 Yeah, I saw Glam was going to the D-Land. Much better weather, I'm sure. wow 2 week spring break and ya'lls spring break is late! Oh, i loved this! I agree with it all. And I leave my dishes in the sink a lot. And i think, hey, at least they are in the sink and not on the table, right? I don't need a day to talk about women I admire. I need a month, a year, a lifetime. Whether they are fictional or real it would take me more than a single post to log in all the women I admire as there are countless women out there whom I admire for their strength, spirit, and ability to uplift one another at all times. First, I want to talk about all of the fictional women simply because they give a performance of what we aspire to be or something we wish could be real. Do you ever come up with an awesome blog in the shower and by the time you can write it down, you have totally forgotten what it was in the first place? Yeah, this wasn't one of those times. Although that has happened! How about driving down the street and suddenly you are hit with a stroke of genius, and yet by the time you get home and are able to write about it you are actually reading other blogs thinking, "Man I wish I could write something clever like that!" Yeah...that didn't happen this time either. But it has. Totally. No, this was one of those thoughts that hit you right before you go to sleep at night, so they border on strange and reach for genius. And the more tired you are the further the reach. Well this was Monday night and I was exhausted so the reach was miles from my grasp, and strange was right at my feet. That is when it hit me. 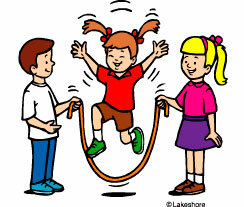 Social networking is a lot jump rope. Sure it is....especially at midnight. I'm going to take you back about 16 years and all the way back east to VA, when a certain Barbershop Quartet was formed. It was known as: 66 West! The above picture isn't the original 4, but it is darn close. Not only is the picture close to the original group, they were also close and remain close to this day. Our families do as well. The lead left first (for work) and moved to CA. It was a sad day. But the remaining three insisted on staying together so they found another lead. 66 West carried on and our families celebrated together throughout the years. 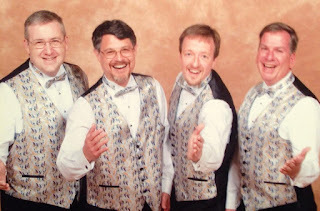 The quartet was annually invited to the Little League World Series to sing the National Anthem and was also regularly invited to sing it at the minors at our local team. I may or may not have downed two and half hot dogs while pregnant with my son at one of the games.